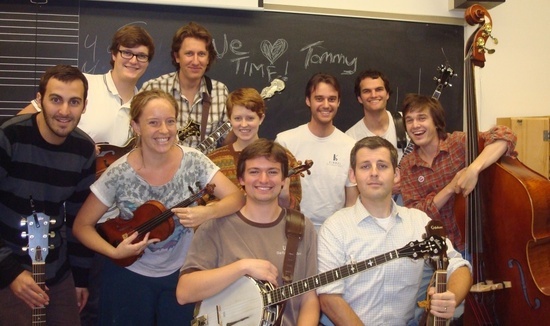 I'm going to be playing banjo on a few tunes with the 2010-2011 UCLA Bluegrass & Old-Time String Band. This is the ensemble that I had founded in 2007-2008, in my senior year. We're playing at the Hammer Museum, in Westwood (West Los Angeles). The gig is on Saturday, 4/23/2011, in the afternoon. Come out and see us! Admission is FREE! :) Parking is $3. The Bluegrass Ensemble goes on at 3:30 PM, after the Music of China Ensemble. For more information, please see the event's page on the Hammer Museum's website. Doug Morier's blog - Bluegrass at the Hammer Museum!